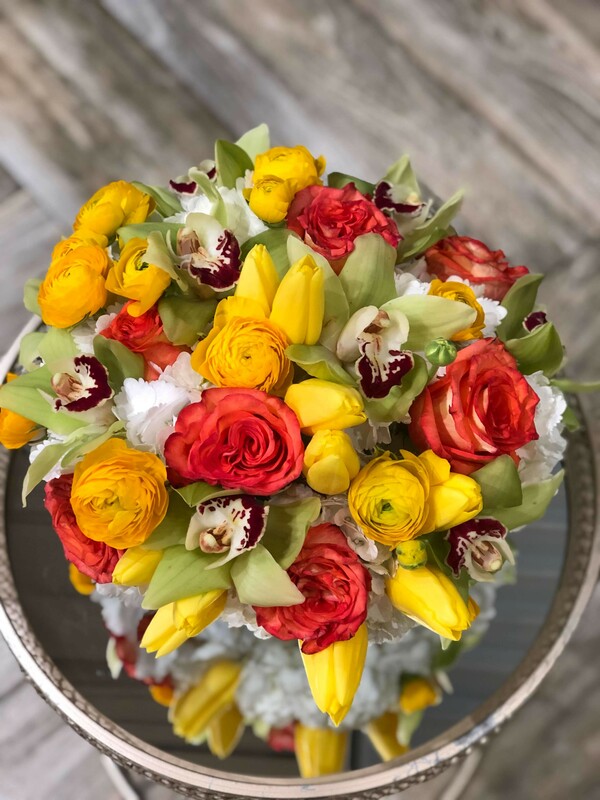 The Golden Affair is a must have for anyone who wants to celebrate joy and happiness. 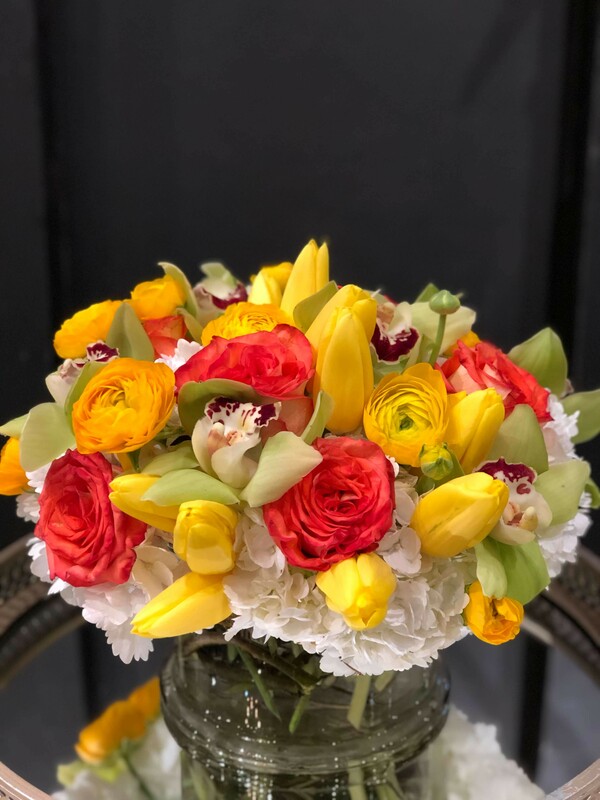 This beauty has vibrant butter yellow Tulips and Ranunculus, creamy orange Roses, luxurious Cymbidium Orchids and classic white Hydrangeas. The combination is curated to perfection, which gives us jubilation every time looking at her.